The new 4,500 SF library addition will accommodate a 44% increase in shelving space as well as a 30% increase in seating. The design addresses the desire to have more natural lighting, yet the form remains within the vocabulary of the existing structure. 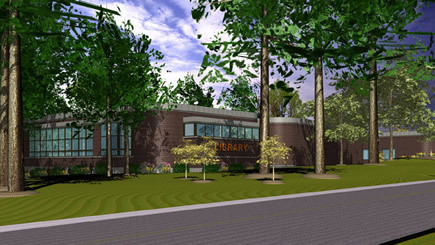 TAG created an interior furnishings plan and a 3D model of the form to ensure that the new addition would accommodate the desires of the Beavercreek Township, the library staff, and the Friends of the Library.